RAW HOLLYWOOD : TYGA TEAMS UP WITH DESIIGNER FOR NEW SONG "GUCCI SNAKES"
TYGA TEAMS UP WITH DESIIGNER FOR NEW SONG "GUCCI SNAKES"
So if you missed it, Tyga just signed to his possible future brother in law's music label G.O.O.D. music and he is wasting no time dropping new music. 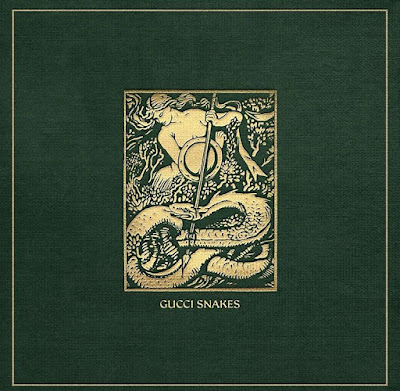 He teamed up with label mate Desiigner for this newest track titled "Gucci Snakes" and if you don't at least bob your head to this song, you're playing around. Now of course if the song is called "Gucci Snakes", it's only right that there is lots of Gucci talk in the song. Tyga talks about spending "10 bands in Gucci" amongst lots of other stunt talk. Now, I'm not trying to be messy or anything but how in the heck is Tyga spending all these racks but he's been getting hit with lawsuits left and right. Not to mention that there have been rumors of a couple of his cars getting repossessed. Maybe he is trying to dead all of those rumors out there and letting us know that he is really getting it and has it. As far is Desiigner goes, he gave his normal ad libs that are guaranteed to have you hype and confused all in one. I honestly rarely know what the rapper is saying but his energy is crazy and that's what makes him a fan favorite. Overall all the song is pretty dope and G.O.O.D music label is looking on the up and up with majority of the artist putting in work. Take a listen to the track below and let us know if you're feeling it.